1962 heralded another golden era of British motorsport as reigning champions Ferrari self-destructed over the winter, with internal disputes and senior staff walking out. 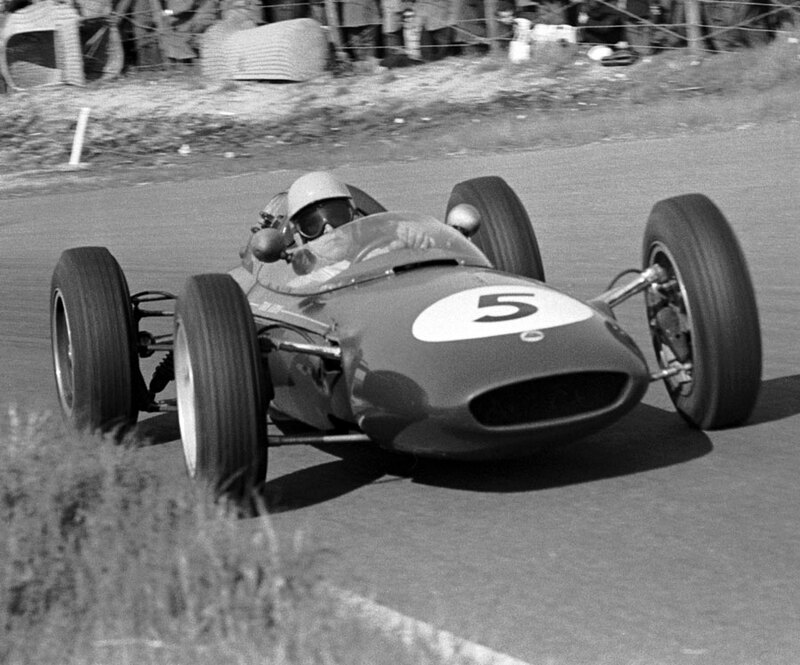 Revitalised, the British contingent of BRM and Lotus dominated, and, in the first race of the season at Zandvoort, Graham Hill took victory in the new V8 BRM. However, the biggest story of the season so far was that Stirling Moss was missing from the race due to a horrific crash at Goodwood a month previously. One of the sport's most talented and well-liked drivers, Moss smashed his Lotus into a bank during a non-championship race on Easter Monday, suffering severe injuries which put him in a coma for 38 days. Although he eventually recovered, he never raced in Formula One again, as he felt he'd lost that vital edge that made him such a brilliant driver. His retirement was a huge loss to the sport that he had graced, and despite being at the top of his game for over a decade, he never managed to clinch the world championship. At Zandvoort, a lightning-fast circuit that twists and turns through grassy sand dunes on top of low seaside cliffs, power was of the utmost importance. Lotus had also come up with a new car, the 25, which featured a revolutionary monocoque chassis made from aluminium - it was strong, rigid and light and would transform grand prix chassis design in the future. The other interesting newcomer was Lola, entered by the Bowmaker team for John Surtees and Roy Salvadori, and Surtees announced its arrival in fine style by taking pole. British cars filled the front two rows and it was Jim Clark in the new Lotus 25 who rocketed into the lead at the first corner, closely followed by Hill and Dan Gurney in the flat-eight Porsche. Clark soon began to have problems with his gearbox and Graham Hill steadily gained on him, overtaking on the 11th lap, from where he never looked back. Surtees spun off into the woods leaving world champion Phil Hill to manoeuvre his Ferrari into second, with Trevor Taylor, a young Lotus works driver, hot on his tail. Despite running on only half normal oil pressure, Taylor soon overtook Phil Hill and held on to finish second, a remarkable achievement in only his second grand prix. Towards the end of the race, Innes Ireland had a lucky escape when his Lotus Climax seized up while travelling at over 100mph. The car shot straight off the track, somersaulting spectacularly before hitting a wire mesh fence. Remarkably, Ireland was able to walk away with just a cut nose. Graham Hill's victory was the first for BRM since Jo Bonnier's win at the same track three years earlier and set the scene for a season dominated by the British constructors. The Ferraris were not lying down without a fight, however, and Phil Hill and Giancarlo Baghetti came in third and fourth respectively. But the momentum had definitely swung away from the Italian team.